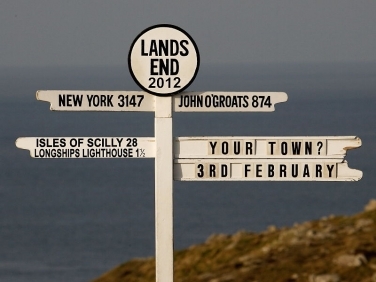 Land’s End is the most westerly point of the British mainland and it offers spectacular ocean views. Longships Lighthouse stands a mile and half offshore and on a clear day the Isles of Scilly can be seen. Dolphins, porpoises, Basking Shark, seals, countless seabirds and even the occasional Minke Whale and Killer Whale are recorded here annually. The cliff tops are high above the water and so it is advisable to bring binoculars to scan the waves and cliffs for wildlife. Land’s End is privately owned and although entry to Land’s End is free there is a charge for parking. Rates may vary according to season so visitors are advised to check the latest information on the owners official website. 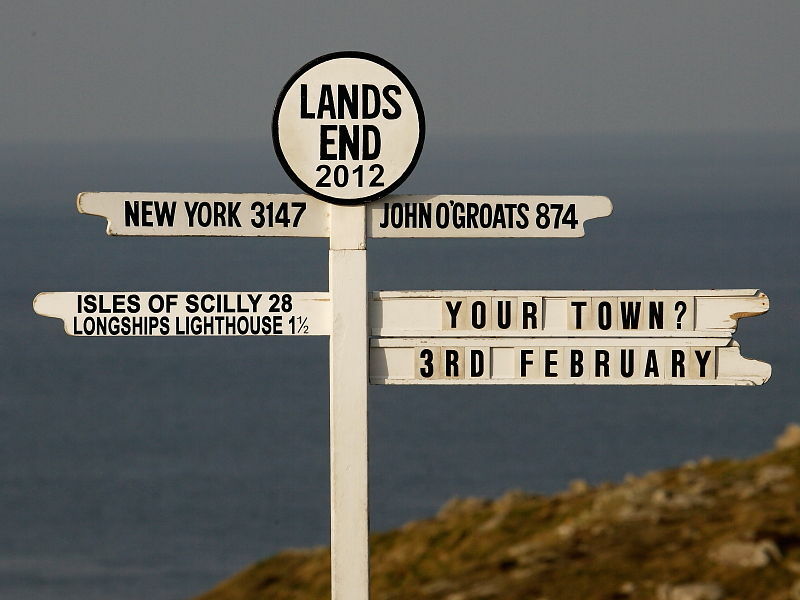 The nearest postcode to Land’s End for sat nav purposes is TR19 7AA. 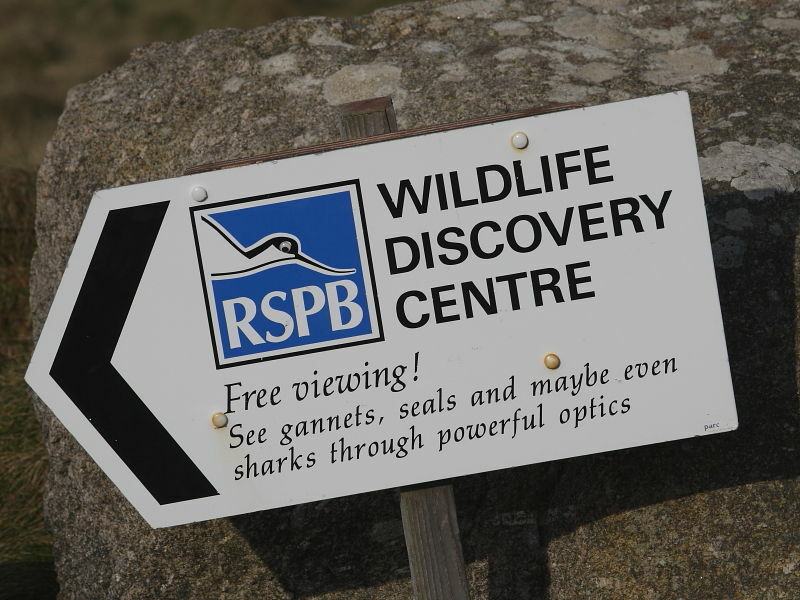 For visitors not wishing to visit the privately owned village complex good seawatching can still be had from the surrounding South West Coast Path. 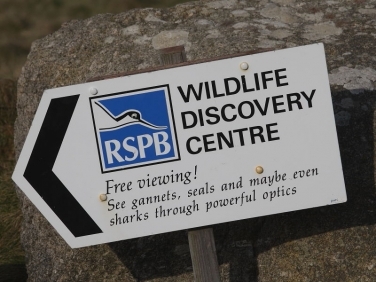 The cliffside RSPB Wildlife Discovery Centre hide, on the northern side, can be accessed off the South West Coast Path. 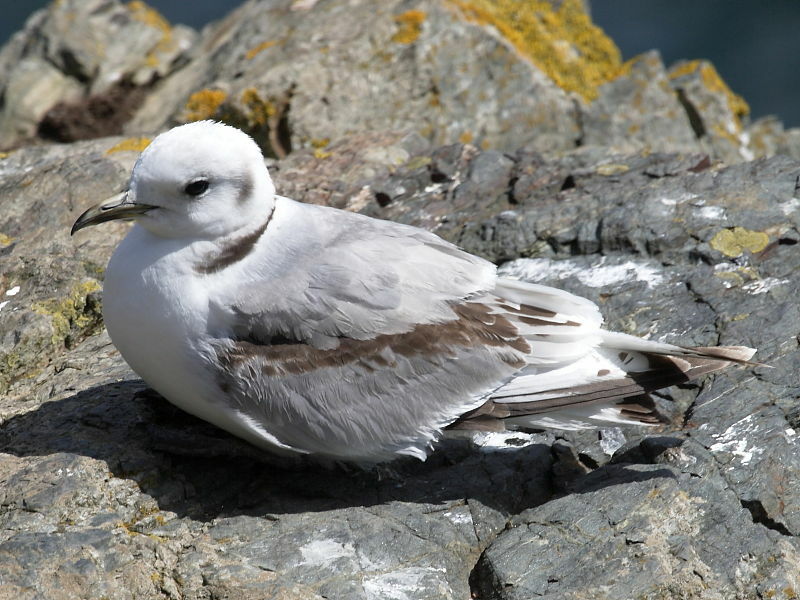 Through the hide’s high powered optics visitors can have close up views of the seabird colonies and out to sea. 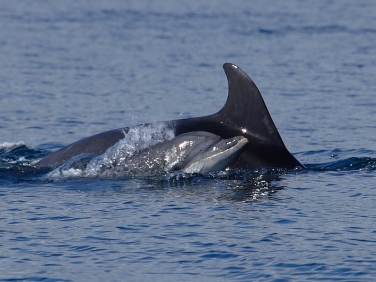 Bottlenose and Common Dolphins are regularly sighted throughout the year but their appearances are unpredictable. 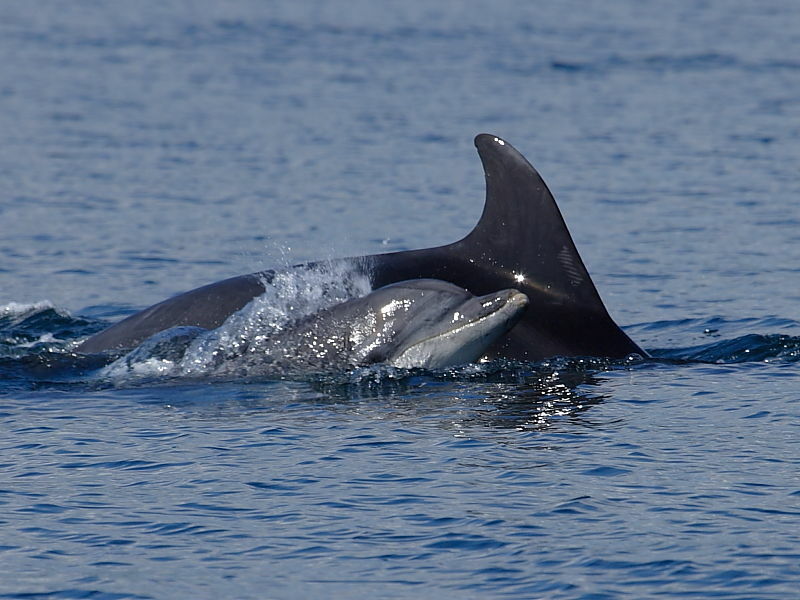 Other species sighted annually in small numbers include the blunt headed Risso’s Dolphin and the Harbour Porpoise. 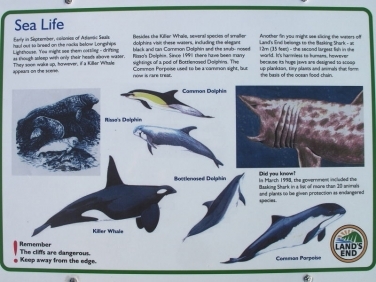 There are a handful of Whales, mostly Minke, reported most years but views are often extremely distant. Basking Shark are regularly sighted in warmer settled weather between April and September. Their appearance is unpredictable but coincides with increased inshore plankton. They can be several metres in length and their dark forms and breaking dorsal and tail fins stand out in calm water even when looking down from the cliff top. Grey Seals, also known as Atlantic Seals, may be seen in small numbers in the water around the rocks at any time of the year. 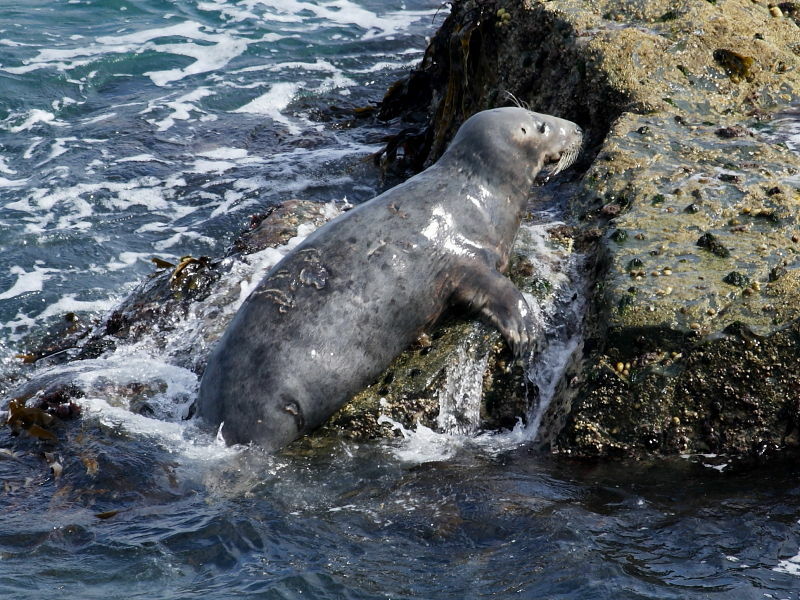 From September numbers increase as seals arrive to give birth on the rocks around Longships Lighthouse. 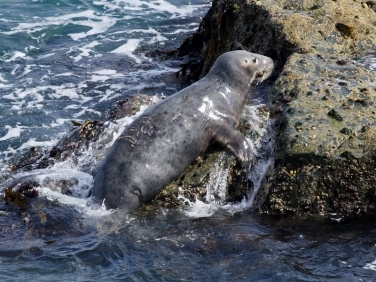 For closer views of seals Godrevy Point and Sennen Cove are good places to visit. Large numbers of seabirds nest on the ledges of cliffs and on nearby offshore rocky islands. Cornwalls largest colony of breeding Kittiwakes can be seen from the RSPB Wildlife Discovery Centre hide looking down on Dollar Cove. 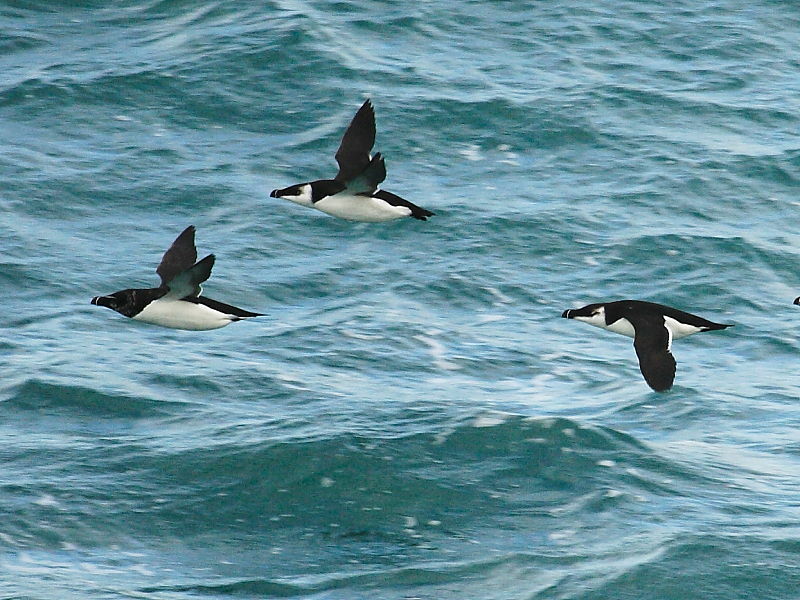 Razorbills and Guillemots can be seen throughout the year either fishing on the water or passing through in small flocks. Land’s End can be a frustrating place to watch for passage seabirds such as Shearwaters and Skuas as they often pass Land’s End far out to sea. However, there are occasions when strong onshore winds between April and October will drive thousands closer to the coastline. Several species of Shearwaters including the common Manx and scarcer Balearic are regularly sighted. Several species of Skuas and Petrels may also appear in rough weather.